For those of you living in the UK you may well remember the 4G auction which happened a little while back. It saw the big phone networks all bidding for a slice of the spectrum which is perfect for 4G LTE mobile services. The results were actually quite interesting with all the big mobile carriers; Vodafone, Three, EE and O2 picking up spectrum, but BT were also in the mix and they got a chunk too. “We won some excellent 4G spectrum just recently so it makes sense for us to explore the new opportunities that 4G presents... We have a strong position in the Wi-Fi market and we are looking to build on that." In an article from the Financial Times it was suggested that BT could look to partner with O2, to either lease them or sell them some of the spectrum which they won from the auction. This would be a way for BT to make use of their spectrum and it's seen as quite likely by those in the industry because of the close links which the two firms have from the past. 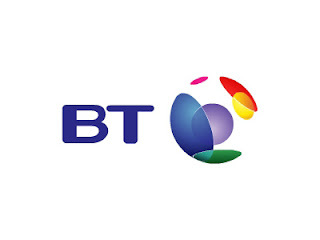 This would give BT the option to create a fourth part to their 'phone, tv and broadband' packages which they offer at the moment or alternatively they can make a name for themselves as a fast internet carrier with the potential for home broadband and fast 4G services. Would this sort of bundle be something that you'd be interested in? Would they be a good competitor to Virgin? Let us know in the comments below!